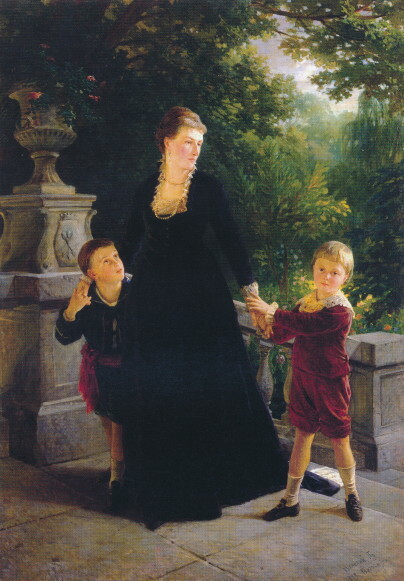 Skoropadsky [Skoropads’kyj]. A family line of state, military, and community leaders, known since the 17th century. It was founded by Fedir Skoropadsky, who was reportedly slain in the Battle of Zhovti Vody (1648). His grandson, Ivan Skoropadsky, was hetman of Ukraine from 1708 to 1722 (portrait: Ivan Skoropadsky). Ivan had no sons; his brothers, Vasyl (d 1727) and Pavlo (d before 1739), continued the Skoropadsky line. Vasyl served as a military chancellor (1676), captain of Berezna company (1697–1709), quartermaster of Chernihiv regiment (1713–21), and a fellow of the standard (1726); his branch of the Skoropadsky family line continued into the 20th century. 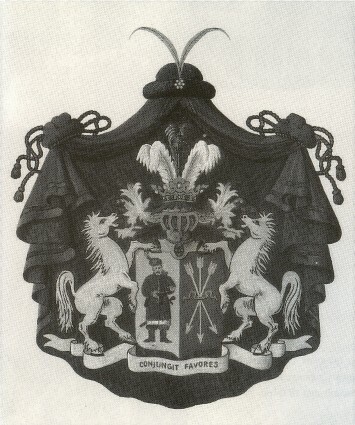 Pavlo Skoropadsky served as a fellow of the standard (1712); his branch of the line died out in the late 18th century. 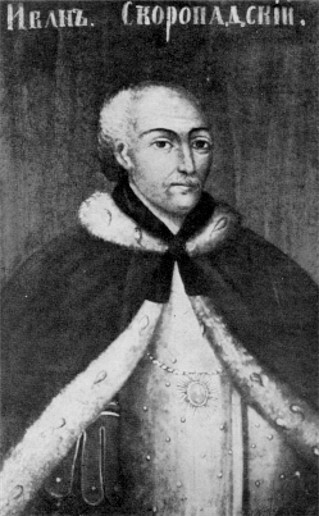 Vasyl's more distinguished descendants included his son, Mykhailo (b ca 1697, d 2 January 1758 in Hlukhiv), a graduate of the Kyivan Mohyla Academy and a political activist in the Hetman state. He served as a fellow of the standard (1715; honored as ‘first among fellows’ in 1733) and as general treasurer (1741–58), and he participated in the Persian and Caucasian campaigns (1720–30), the Polish campaign (1733–4), and the Russo-Turkish War of 1735–9. 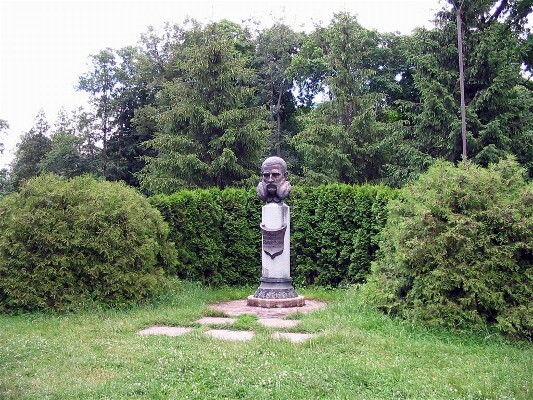 Mykhailo's older son, Ivan (b 9 August 1727 in Velyki Sorochyntsi, d 1782), was a noted Ukrainian autonomist and a candidate for hetman. He studied at the Kyivan Mohyla Academy and in Germany and served as general osaul (1762–81) and as deputy of the nobility of Hlukhiv county (1767). Ivan's great-great-grandson, Heorhii (b 11 October 1873 in Avdiivka, Chernihiv gubernia, d ? ), served as head of the Sosnytsia county zemstvo administration (1905–7) and was elected to the Third (1907) and Fourth (1912) Russian State Dumas (see State Duma). Mykhailo Skoropadsky's younger son, Yakiv (b 1730, d ca 1785), served as major of a cuirassier regiment (1764). 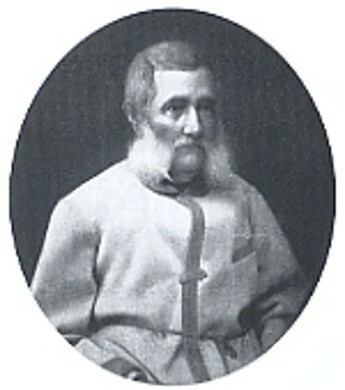 Yakiv's grandson, Ivan (b 30 January 1804, d 8 February 1887) (photo: Ivan Skoropadsky), served as marshal of Pryluky county (1844–7) and Poltava gubernia (1847–52); he supported the 1861 agrarian reforms, and he built one of the finest palaces and gardens in Left-Bank Ukraine (see Trostianets Dendrological Park). Ivan's son, Petro (b 6 March 1834, d 30 June 1885), was a colonel of the Cavalry Guard and a veteran of the Caucasian wars (1863); he served as marshal of Starodub county (1869–85) and was a local zemstvo activist. Ivan's daughter and Petro's sister, Yelysaveta Myloradovych, was a noted Ukrainian activist. 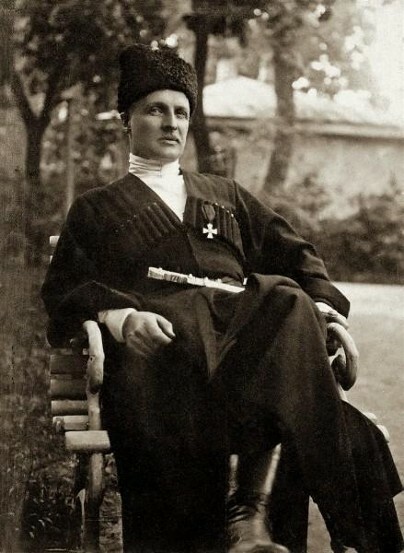 Petro's son, Pavlo Skoropadsky, was hetman of the Ukrainian State in 1918. Pavlo's son, Danylo Skoropadsky, succeeded his father as head of the émigré hetmanite movement. 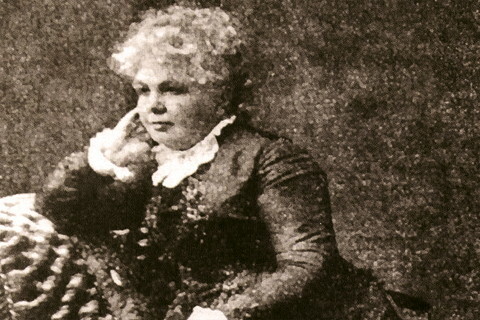 After his death his sisters, Mariia Skoropadska-Montresor (d 11 February 1959), and later Yelysaveta Skoropadska (d 16 February 1976) headed the movement.